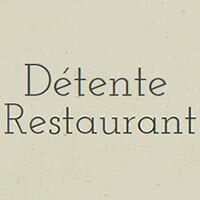 Enjoy a unique dinner at Détente, a modern seasonal kitchen in downtown Edgartown offering the freshest products by working with local farmers and fisherman. The menu, which changes frequently, features inventive American fare with European influences, local seafood, hand rolled pasta and house-made desserts. An extensive wine list includes regional favorites and hidden gems from all around the world in every price range. Enjoy dinner in our cozy upstairs or downstairs dining room, at our beautiful soapstone bar, or on our breezy garden patio. Open nightly in-season.